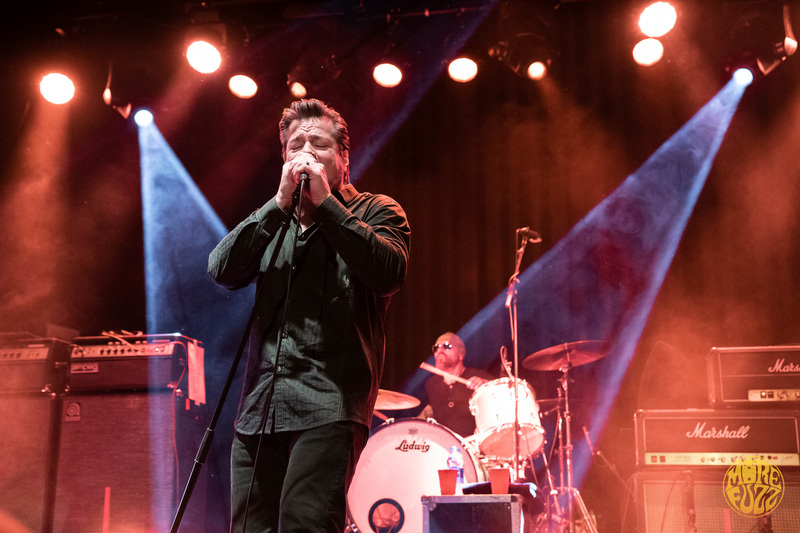 After a relentless month of touring the Old Continent, John Garcia and The Band of Gold delivered a massive gig at 013 Poppodium in Tilburg on the 22th of February 2019. It was the band’s second to last appearance on their European tour with Dead Quiet and probably also the last Dutch concert of 2019. Without hesitation I grabbed my camera, let my hair loose, hopped on a pickup truck and headed down the freeway. Too bad the part with the truck didn’t really happen but you get the idea. Fuzzy acolytes from Dead Quiet hadn’t been on my radar before the show so naturally I wasn’t sure what to expect. 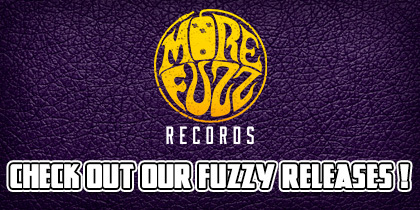 I was genuinely curious and craving for a thick dose of fuzz to rock out to, that’s all. Kicking off with Blood Lovers from the well acclaimed Grand Rites, Dead Quiet officially opened the evening with a grand gesture. First minutes of the gig had seemed slightly shy but after just a short moment came the maddening riffs. The power fiercely burst through the speakers! Melodic heavy metal with a dark twist and some unique vocals made up for an amazing musical performance which I had enjoyed so much. What I particularly loved about it though, was the diverse groove and smoothness with which riffs flowed through one another. Spiced up with some Hammond keys and ruthless drumbeats the angry riffage went on and stole both the mind and the heart. The gig lasted only around 30min yet Dead Quiet still got the crowd properly warmed up with a setlist spanning both their albums. I would highly recommend seeing this band live and fully immersing in their sonic stories. Dead Quiet is: Kevin Keegan on vocs/guitar, Jason Dana on drums, Brock Macinnes on guitar, Willow Gamberg on keys and Mike Grossnickle on bass guitar. First time seeing the desert legend live I was indescribably excited for what Garcia and his mates from the Band of Gold had brought along from frying California. Being a longtime fan of Kyuss I couldn’t just let that chance slip! Yeah, you might say that John’s golden age was way back in his early Kyuss days and that his recent works come nowhere close. Before you do so though, please stay around for a while longer. For what I saw and heard was something highly unexpected and surely mind-blowing. To put it short, it was a killer. I was hoping for the setlist to consist mainly of tracks from their recent, self-titled album (I wrote a review about it) yet not only did the band play most of it but also the guys managed to weave in another 11 Kyuss songs! Starting off exactly following the album track order, the Band of Gold spilled first blood by playing Space Vato, an instrumental opener sounding like a wild cruise through the Milky Way. After that John Garcia himself came on stage and amplified the power of the instruments with his impressive vocal skills in songs like Jim’s Whiskers and Kentucky II. Maneuvering between punchy bass lines and well-honed guitar riffs, Garcia confidently set the course of the evening with Ehren Gorban (guitar), Mike Pigmie (bass) and Greg Saenz (drums) by his side. And what a wonderful collection of individuals was that! At first it seemed as if they all belonged to totally different worlds, but after the first couple of tracks one could tell it was a great bunch of friends. Feeling each other’s instruments and having plenty of fun playing together. And for all those purists out there – no, the Band of Gold didn’t imitate Kyuss. It felt rather as a reinterpretation where the old spirit was preserved and played around with. Dragged through some dusty roads and spiced up with extra distortion. And honestly, when Kyussian gems of the likes of Conan Troutman dropped, I was stunned as Garcia’s voice indeed sounded pristine and full of grit. Perhaps that’s what the desert sounds like ? Anyway, people around me seemed to share my amusement but overall the crowd was rather static. I still remember the moment when Garcia walked up to a guy recording the gig on his phone in the first row and gently put his hands around the guy’s phone. Then John slowly put it down and thanked the men. Funnily enough, suddenly everyone around put their mobiles aside as if collectively caught red-handed. Too bad it didn’t last long but it was still great to see no phones in the air for at least a couple of tracks. In the end it was a fantastic night filled with a myriad of musical sensations. Roaring riffs met with melting vocals and vigorous drumbeats only to constantly warp and spit out ever-changing desert symphonies. Loads of energy, fuzz and a lethal dose of fun. Just the way I like my gigs! A quick shoutout to 013 Poppodium where acoustics and the soundsystem combined allowed for the sound to be sharp, well balanced and of ideal volume! There was even a guy behind a DJ set playing funky tunes in the lobby area. That was a nice touch. A free soul roaming the vast open world in search of grand tunes, proper poison and ever-changing inspiration to just be. Stuck somewhere between reality and endless sonic dimensions.